Prabhas, Rana Daggubati and Tamannaah starrer Baahubali: The Beginning has turned out to be one of the highest grossers of the year. It’s been 50 days since its release but there seems to be no stopping this juggernaut called Baahubali at box office. Apart from an interesting story line and strong characters, the real life and flesh of Baahubali was its mind blowing visual effects, which drew attention from all over the world. 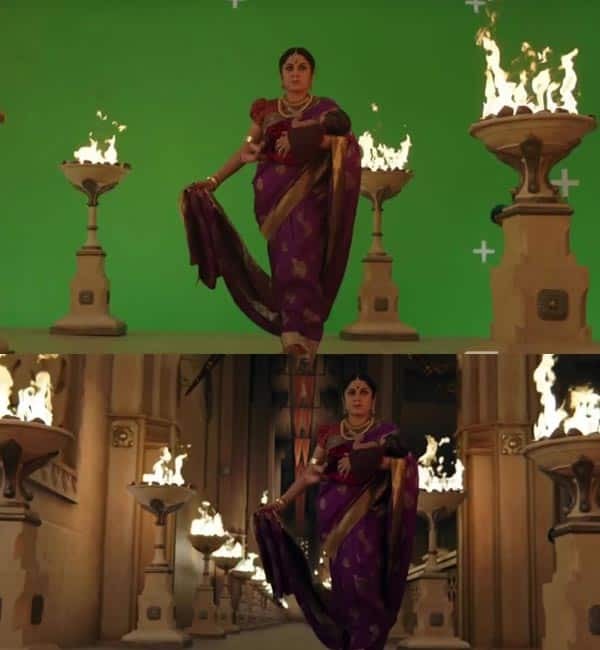 With its VFX effects compared with Hollywood biggies like 300 and Lord of the Rings, Baahubali has now created a new bench mark for VFX in Indian cinema. 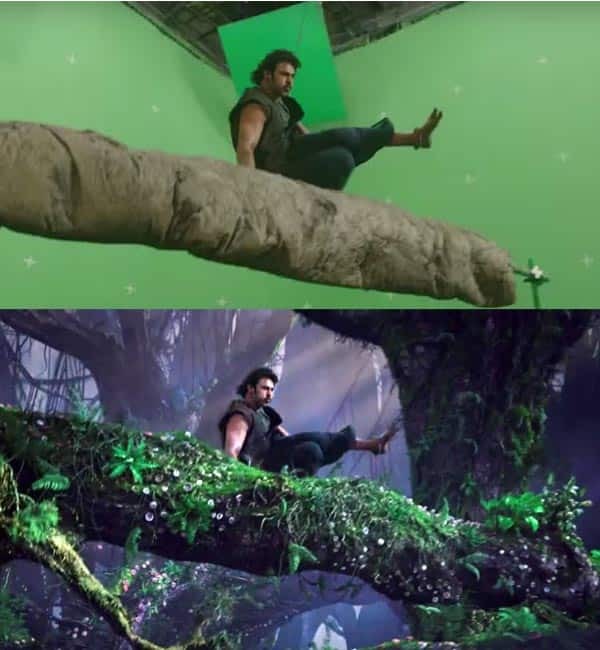 If you are wondering what’s so great about VFX or what it’s all about, then get ready cos these before and after VFX pics will blow your mind! This shot of Sivagami saving the baby on water has been enhanced by adding VFX generated waterfalls. 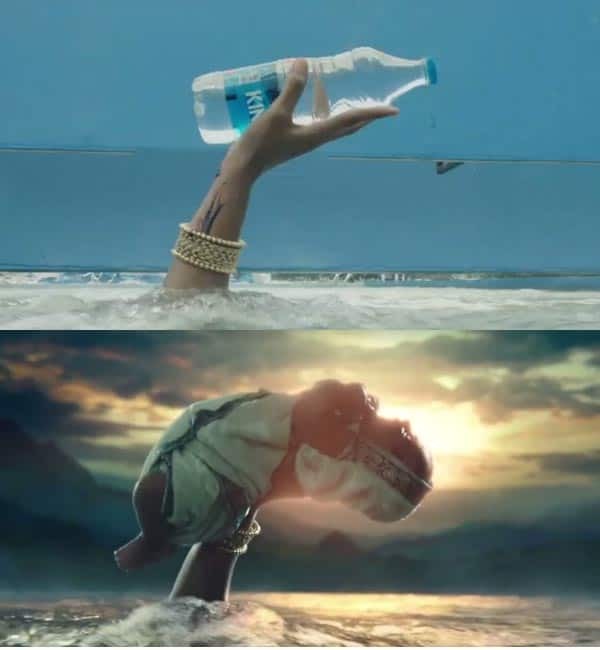 You won’t believe but this famous shot from the film of Sivagami keeping the baby above the water, was originally shot with a bottle of mineral water. 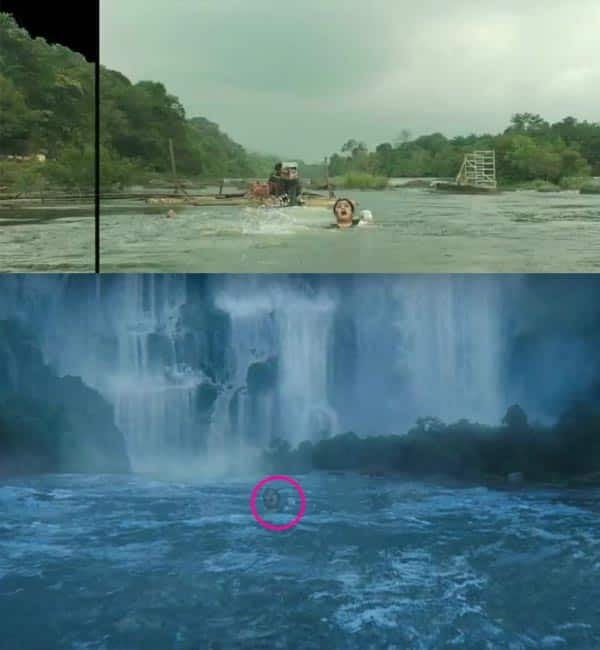 VFX generated waterfalls played a huge role in the film. 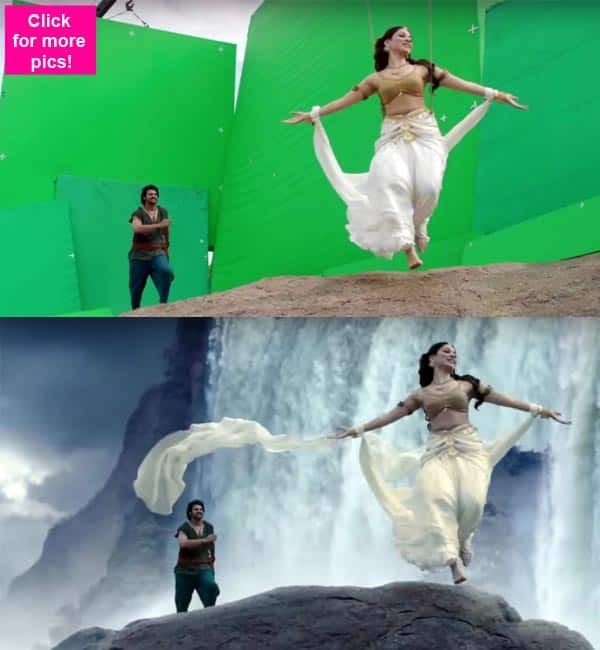 Once again in this shot we can clearly see how Tamannaah is facing a blue screen which was replaced with the waterfalls using VFX. Even the veil on Tamannaah’s body was created using CGI. Awesome! Butterfly effect – In this picture you can see how butterflies have been designed and later have been filled with blue color. 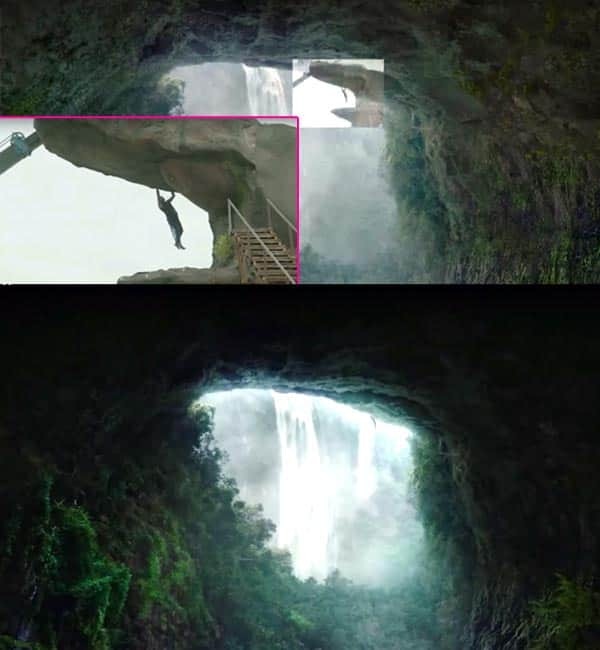 The mesmerising shot of Prabhas hanging on the rocks with waterfalls in the backdrop, was VFX generated. 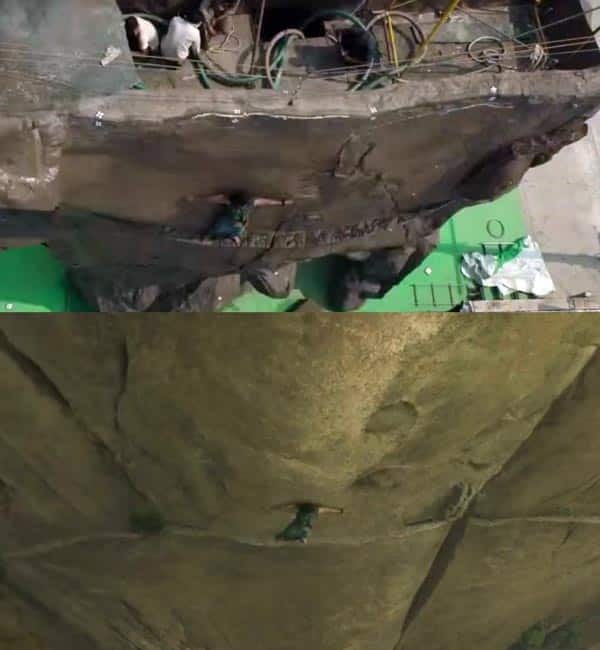 In the inset, you can see Prabhas climbing the rock through a crane lifted platform. The waterfalls, the mountains and the sky were all graphically generated in this shot from the romantic track Dhivara picturised on Prabhas and Tamannaah. So this is how Prabhas crossed the deadly, narrow passage! Graphically created jungle adds so much beauty and detail to this shot captured with green screen. 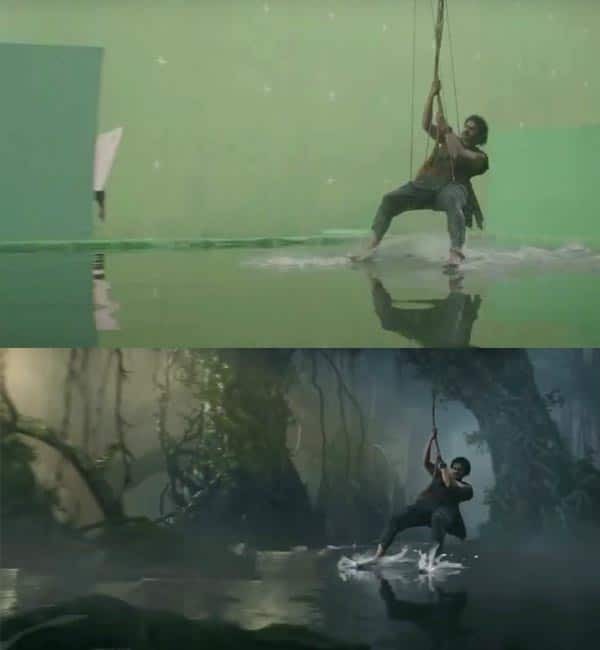 While we saw Prabhas hoping over the branch in the jungle on big screen, in reality Prabhas was just hoping over a giant log with green screen backdrop. The elephant used in the film was CGI made. 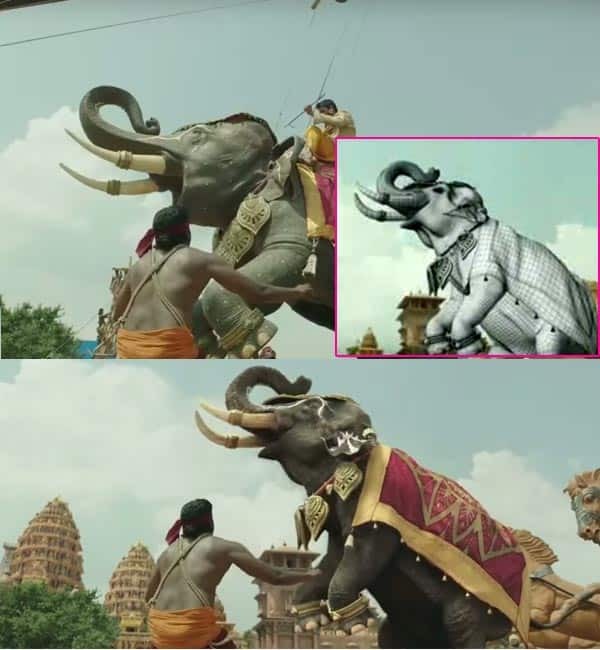 In fact, Rajamouli had ordered to make a statue of the elephant and had it lifted with a crane. The temple backdrop behind the fighter was created using VFX. 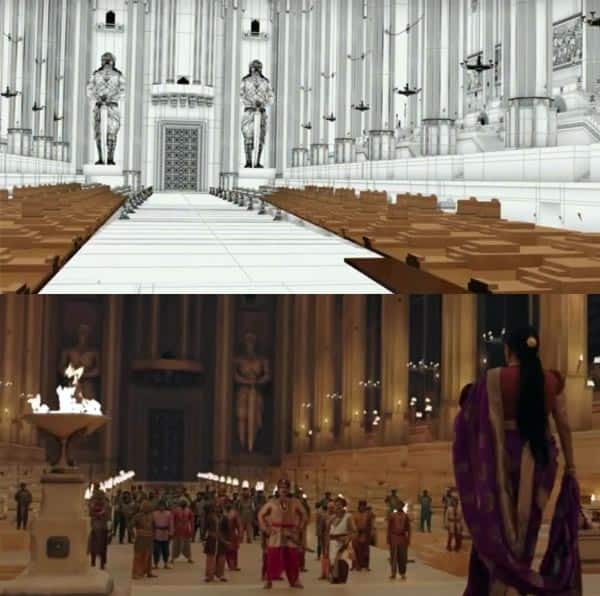 This shot of Prabhas sneaking into the palace was shot with the help of green screen. 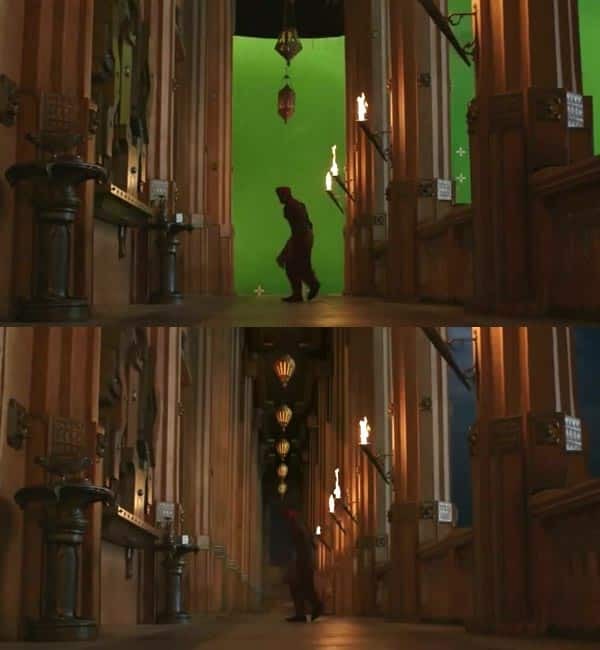 The entire palace backdrop as well as the blazing fire place were all VFX generated in this shot. As you can see, the original shot was captured with Ramya Krishnan walking with the baby in front to green screen. The hug courtroom scene where Kattapa comes to the aide of Sivagami was also graphically created. Do you like this post? Do share with your friends.. Click the buttons below to share..